● Get free shipping for orders over $50, applicable only to delivery addresses within the 48 contiguous United States. This promo seems to be ongoing but may be subject to change at any time. ● Shop Perfumania’s Clearance page for markdowns usually around 50%. You can also access sections within the Clearance page for fragrances respectively under $75 and $35 in order to better tailor your selections to your budget. ● The site gives away free samples with orders totaling at least $65 after discounts are applied. Each customer is limited to one gift per order, and can take advantage of this offer only while supplies last. ● Join the Perfumania Rewards Program and earn one point for every dollar you spend (200 points = $10 reward). You can also get a $10 coupon on your first purchase using your Perfumania Rewards Card. ● Look out for seasonal and other limited time deals often consisting of BOGO offers or flat rate discounts across a specific department or item category. Finding the right cologne or perfume can be difficult and a lot of shoppers don't want to have to go their nearest department store to find a scent that they already know they want. 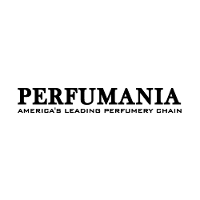 Perfumania gives you the ability to buy perfume or cologne entirely online so you don't have to go in-store. On their home page you can browse by brands alphabetically or you can choose whether you're looking at women's perfume or men's cologne. They also have an array of gift sets that you can browse through and a clearance section filled with merchandise that has been recently marked down. For most up to date offers check out Perfumania on Facebook and Twitter or contact Perfumania Support for any questions.